On to the card used Kanban stamps, the perfume bottle was stamped first then masked , then the two other bottles were added. Popped another image of the perfume bottle (this time highlighted with ice stickles- though they don't really show up on first photo) on top with dimensionals and did the same with the bows (that was fiddly).Then a bit of bling all done. But oh my taking the photo has once again been a royal pain in the behooky Picasa didn't really help either so have just stuck it on, pity cause really pleased with this one especially as no.1son asked if I had printed it off! and I know that it's right up my friends street. 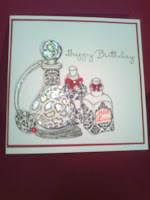 Clever gal, the card looks fab, love the stamped bottles and all the extra touches. Jenni, this is just beautiful! You've done a fabulous job with the masking! Lovely card Jenni! I like the way you can see the sparkle in the second photo. Have never masked anything so need to have a go probably! (Looks very fiddly!). 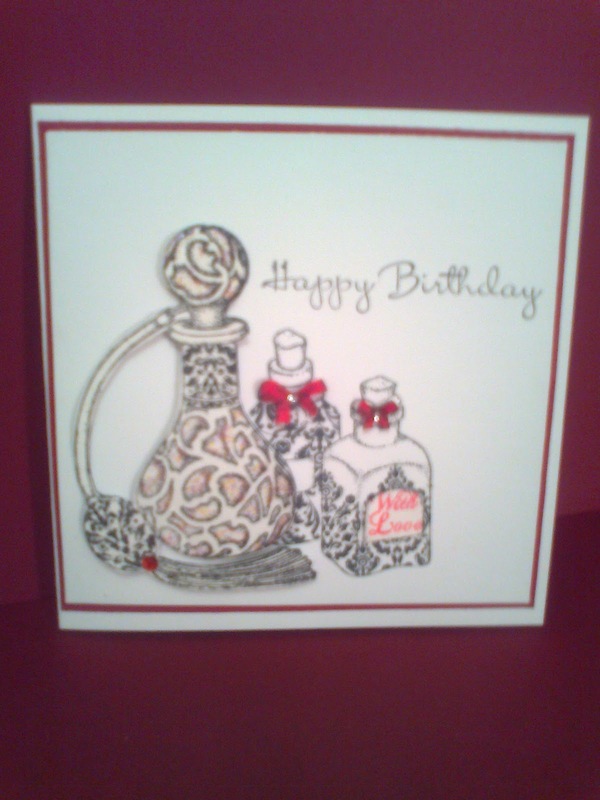 Super card Jenni, it;s a great arrangement and the bling looks ace. I'm sure it will be received with delight! 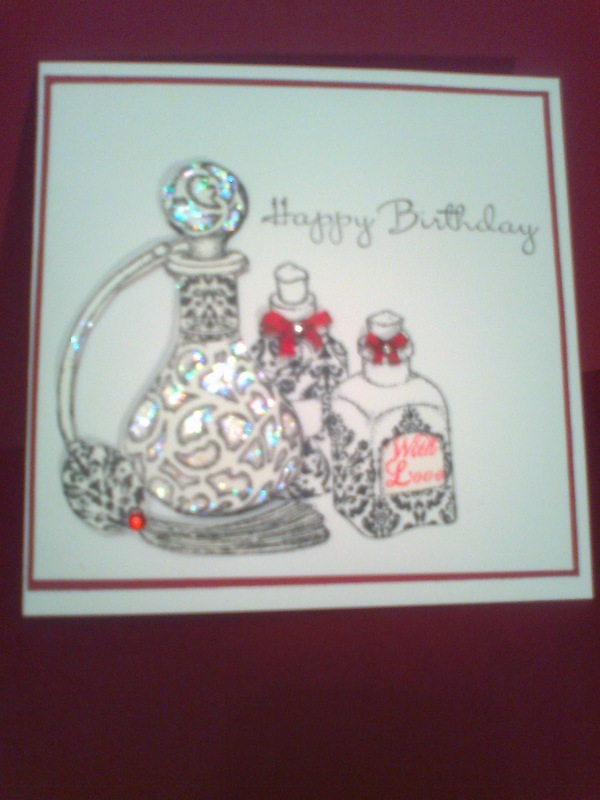 Hola Jenni:D, beautiful, beautiful stamps, your card remind me the set of bottles perfume my grandmother was in her budoir:D, great masking Jenni and gorgeous card. Great birthday card, bet your friend will love it. Love the colour palette you've used. Fabulous images and layout! What a lot of work you put into it and it shows! 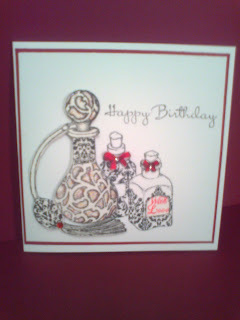 A super card Jenni & fab masking. These are fab stamps too.